The most disrespected woman in America, is the black woman. The most un-protected person in America is the black woman. The most neglected person in America, is the black woman. – Malcolm X, from a speech he gave May 5, 1962 at the funeral of Ronald Stokes. Fandom hates Black women – real and fictional. Fandom can’t stand Black female characters, the actresses that play/voice them, or the Black women who go hard for characters that look like them. Misogynoir is alive and well in fandom spaces and few people seem willing to acknowledge it or listen to Black women talking about this specific form of racialized misogyny in fandom. Moya Bailey coined the term “misogynoir” back in 2010 in order to “describe the particular fuckery Black women face in popular culture”. A little later on, Trudy, the creator of Gradient Lair, went on to provide a lexical definition of the term that expanded it a bit to reach out beyond popular culture to the treatment of Black women in general. 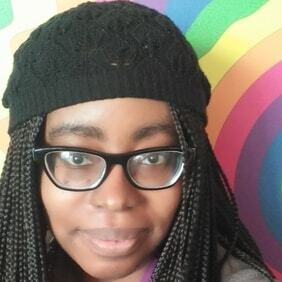 Both Moya’s original comments and Trudy’s expanded definition are necessary in understanding the scope of misogynoir in fandom and fan spaces as well as why it’s a problem that folks in fandom need to be aware of. In fandom, misogynoir typically takes several forms against Black female characters and real life Black women – fans of well… anything and actresses that play Black characters. It involves diminishing Black characters, downplaying Black actresses, and dismissing Black female fans. Fandom doesn’t like to talk about race. It really doesn’t like to acknowledge that the supposed safe space of transformative fandom is a space that’s filled to the brim with as much racist garbage as the rest of the internet. The very notion of anti-Blackness and misogynoir constantly hit up against a wall of purposeful ignorance where, despite the fact that many Black people talk about their experiences in fandom and with racism, folks are still willing and ready to stick their fingers in their ears and talk about how they just don’t understand how obviously racist behaviors, tropes, and ships that Black women in fandom have been talking about for years is racist”. I own a ton of academic books on fandom that have been published in the past two years. Few ever mention race beyond the way that the few articles on race within its covers are squished in their own section or how these books talk around race and racism, therefore drawing attention to its lack. For the most part, fandom pretends that race – and therefore racism – isn’t a thing in order to facilitate a public facade where fandom is safe for all women even while you have white women metaphorically stepping on the throats of women of color in order to get ahead. In the context of this article series, it’s important to focus on the fact that with misogynoir in or out of fandom, everyone can and does get in on the action as far as oppressing, silencing, and shitting on Black women goes. That includes other people of color. And it’s been going on for years. This introduction is the first of a five part mini-series within my larger “What Fandom Racism Looks Like” series. Over the course of the next four months, this mini-series will look at how misogynoir plays out within fandom, who it’s directed at, and how y’all can make fandom a safer place for Black women. This entry was posted in What Fandom Racism Looks Like and tagged black women, fandom, misogynoir. Bookmark the permalink.